The News on the Media comes on the 6th Feb. 2019 in the Morning For Anil Ambani and Robert Wadra. All the above may suffer from this Transit till 7th May 2019 it so seems till Mars crosses the sign Gemini till 22nd June 2019 and also at the time of the Eclipses in July 2019 it so seems . As per Jyotish Classics when any event takes place in the life of a native the planetary positions acquire an important dimension irrespective the birth chart is available or not we can still predict his future. Let us see the Planetary positions at this time to evaluate which planet is responsible for the above. 1. 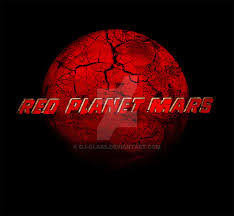 Since Mars Changes sign to Aries on the night of Tuesday the 5th Feb. 2019 and the News comes In the Morning of 6th Feb. 2019 the Planet Mars acquires an Important dimension, more so at the time of Change of Mars in the sign Aries on the 5th Feb. 2019 at 23.48 hrs. Moon is in the nakshatra of Mars Dhanishta and Balance of Dasha as per Moon Nakshatra is 2 years 4 months and 29 days. This Period may prove to be most Venomous for Anil Ambani. Night time Mars is very Strong and specially on the Tuesday the day ruled by him and in the Hora of Moon who is in the Aquarius Sign at 2.04 degrees and aspected by its Sign Lord Saturn. Anil Ambani Moon is also in the sign Aries. Hence the Moon chart also of Aries sign. 2. Moon is considered to be most malefic when in the sign of Saturn and also aspected by Saturn. 4. Red Planet Mars has Ingressed in the nakshatra of Ashvini and Ketu is placed in the 10th house from Mars and Mars reaching the Rahu and Ketu degrees and in square position on the 9th-10th Feb. 2019 may prove to eb most malefic for him. 5. The Transit of Ketu over the natal Saturn will further aggravate the situations after 22nd March when Mars goes in the sign Taurus , 23rd March when Ketu Transits over his Natal Saturn and Jupiter also Transits over the natal Saturn on the 29th March 2019. The transit Mars will aspect these 3 Planets in Transit over the natal Saturn by strong 8th aspect. 10th April Jupiter will become Retrograde and fall back in Scorpio till 5th Nov. 2019 Till 11th August Jupiter will also be Retrograde . this Time frame will prove most malefic more so the 26th Dec. 2019 Solar Eclipse in the sign Sagitarius can add fuel to the fire it so seems. A Prediction from the image of Anil Ambani Hand on the Face , He is running the Dasha of a Planet Rahu in his chart and when rahu Transits over the Indu Lagna or the Jupiter Natal it is time of Scams sprouting . 2.Jupiter in the natal chart is retrograde and also in Guruchandal yoga in the sign Virgo and in Transot Jupiter the 8th Lord from his natal Moon is aspecting his Moon. 5. Transit Saturn in the trinal and Fiery sign from the Natal Saturn in Debilitation wil be instrumental for bringing his down fall. 8. As per Declination Mars in Transit will be in the Sign Leo for him and aspect the Mars in the natal chart this is extremely malefic for the Built-Up Properties for him and scams related to him. Allready written for him and the Transit of Mars will also be most malefic for him including the Transit of Saturn for all the 3 specially from the 7th April to 30th April 2019 it so seems .